A drawing of the last stage of a deluge or a deluge at sea. Curling jets of rain descending from the clouds strike into the water, which curls up to meet them and foams and bubbles all round in a whirlpool. The depiction of cataclysmic storms was one of Leonardo’s favourite subjects during the last decade of his life. He drew and wrote with relish about the futile struggles of man and beast against the overwhelming forces of nature. 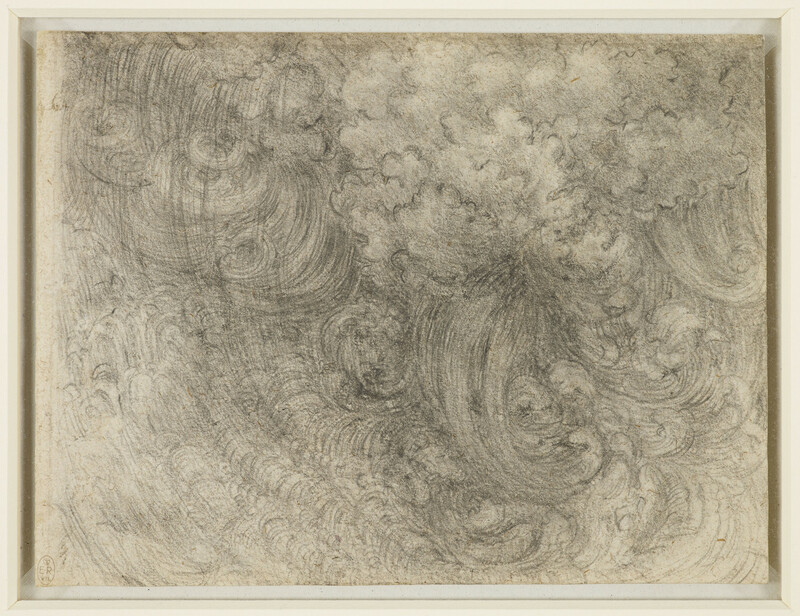 The purpose of his ‘deluge’ drawings is mysterious; they are not studies for paintings, but seem simply to be expressions of Leonardo’s fascination with storms and destruction.